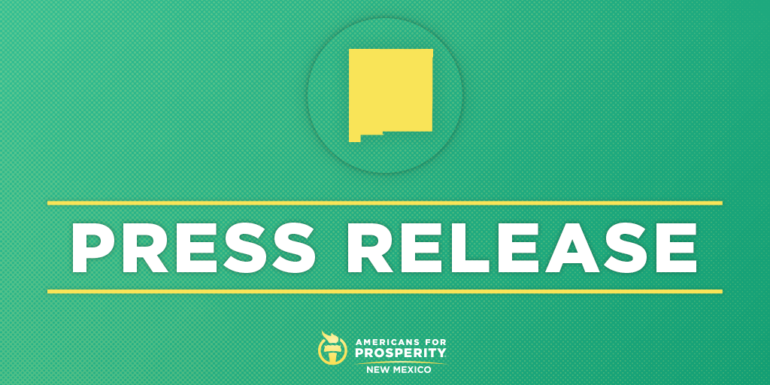 SANTA FE, N.M. – Americans for Prosperity-New Mexico (AFP-NM), the state’s leading grassroots advocate for worker freedom, on Friday commended the Lea County Commission for unanimously supporting an ordinance to make Lea County the fifth right-to-work county in New Mexico. The commission is moving forward with the ordinance and will vote the ordinance into law on July 26th. AFP-NM has been at the forefront of the push for right-to-work policies in the state, having launched in 2017 the “New Jobs New Mexico” campaign, a multilayered grassroots campaign to educate citizens about the impact of right-to-work. Last September, AFP-NM launched the “New Jobs New Mexico” campaign – a robust grassroots, direct mail, and digital effort to educate citizens about the impact of right-to-work. AFP-NM first rallied in Sandoval County in August 2017, which passed Right-To-Work on January 19th, 2018. AFP-NM then mobilized in Otero County, which passed right-to-work on April 12. Lincoln County followed on May 15. The group is committed to engaging across the state, county by county, to make New Mexico the next right-to-work success story. AFP-NM State Director Burly Cain and Rio Grande Foundation President Paul Gessing recently hosted a Facebook Live to discuss right-to-work in New Mexico. Watch it here.